blossom eco skin care, Australian Certified Organic Ingredients, pure, safe, botanically active skin food for silky smooth, hydrated, glowing skin. We only use the very best, Certified Organic ingredients that mother nature provides and then lovingly blend them to create botanically active products. Honesty, purity, integrity and lashings of love, experience the difference! C/O Oz Aloe Vera Aloe Barbadensis Aloe is a succulent perennial of the lily family with skin enhancing value in the juice of its leaves. It is native to Africa and commercially grown in warm and tropical climates around the world. The leaf gel is rich in B complex, folic acid, beneficial polysaccharides and amino acids and has been used to soothe the skin for more than 2500 years. Used externally to re-balance dryness and calm delicate skin. C/O Almond sweet oil Prunus amygdalus dulcis Moisturising, softening, fast penetrating, rich in essential fatty acids and vitamins A and E. Very good occlusive and protective properties. C/O Apricot kernel oil Prunus armeniaca Emollient, moisturising, high in essential fatty acids, nourishing. Reduces roughness, cracking & irritation. Good ‘slip’ & occlusive properties. Oz Australian mineral-lite ultrafine clay Zeolite Suits all skin types. Ultra-fine active hydrous alumino-silicate. Australian Mineral-lite is high in trace elements. Its hexagonal surface enable a greater drawing capacity, amplifying the qualities of other natural ingredients it is blended with. It gives your mask a creamier consistency and helps make the mask easier to remove once it has dried. Oz Australian pastel pink clay Iron oxides & Kaolin An 'oily clay' with a gentle absorbent action. It is noted for it’s ability to firm and tone the skin while cleansing and refining the skins texture. Being a soft clay makes it perfect for use in masks for all skin types including dehydrated, sensitive and mature skin. C/O Oz Avocado oil Persea gratissima Moisturising, nourishing, emollient, superior skin penetration, rich in vitamins A, C, D, E & protein, rich in palmitoleic (fatty) acids and is a softening and protective oil. Bamboo exfolianting granules super fine Bambusa vulgaris stem powder Bamboo granules are our exfoliant of choice for several reasons. Bamboo is considered an 'eco and sustainable crop' as it grows guickly with no pest issue and with minimal water requirements, therefore making it a sustainable crop. These super fine granules are rich in silica and offer an excellent, gentle exfoliating action suitable for even mature and sensitive skin types. C/O Oz Beeswax Cera alba Unrefined Australian Beeswax (certified organic) has a rich colour and sweet honey aroma. As this product is organically certified and sustainably produced there is no harm to the bees that produce the wax. It thickens and enriches the product and also has protective, softening and humectant properties. C/O Bergamot essential oil (Bergaptene-free/Non Phototoxic) Citrus aurantium var. bergamia Fresh, delicate, mixture of orange and lemon with floral overtones, uplifting, restoring and great for stressed skin. C/O Oz Calendula extract Calendula officinalis Emollient, soothes the irritation of dry skin, protective, refreshing, relieves itching due to dry skin, purifies and cleanses all skin types. Protects from the drying effects of the sun, is antiseptic and aids healing. Is perfect for delicate and baby's skin. C/O Oz Calendula flowers Calendula officinalis Adds texture, colour and skin soothing properties. Calendula is known for its healing, protective, relieving and soothing properties. Colour varies from bright to dark yellow, according to the season. C/O Oz Calendula infused oil Calendula officinalis in Sunflower Oil Emollient, soothes the irritation of dry skin, has antiseptic and healing properties, is protective, refreshing, relieves itching due to dry skin, purifies and cleanses all skin types. Protects from drying effects of the sun and aids healing. Carrot seed essential oil Daucus carota Is naturally high in vitamin A and has cellular regeneration properties. It helps to revitalize the basal cell layer of the skin, re-energising and stimulating the production of fresh new cells. Cetearyl olivate / Sorbitan olivate This is a completely natural stabilising and emulsifying wax produced from a combination of pure, unrefined olive oil and an ingredient that contains RSPO and Certified Sustainable Palm Oil (We have a signed declaration from our supplier stating this). It is a NON ETHOXYLATED and PEG free emulsifier. This ingredient binds water soluble and oil molecules together, thickens, has moisturizing properties and helps reduce the Trans Epidermal Water Loss (TEWL) which is moisture loss from the skin. This emulsifying wax is approved by ACO for use in Certified Organic Formulations. C/O Chamomile extract Chamomila recutita Emollient, soothes the irritation of dry skin, calms inflammation, refreshing, purifying and protects from the drying effects of the sun. C/O Chamomile flowers Matricaria chamomilla Colour is soft yellow. Soothing and gentle on the skin, excellent in products for sensitive skin types. Chamomile has anti inflammatory properties and is soothing and gentle. 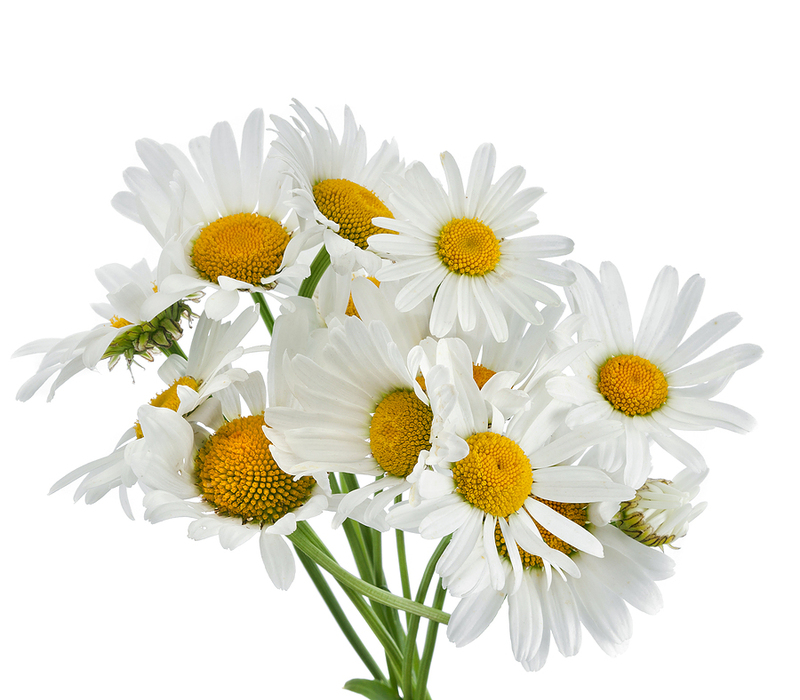 C/O Chamomile roman essential oil Chamaemelum anthemis nobile Most renowned for its anti-inflammatory properties. It is a skin tonic, moisturizer, revitalizes and softens, smooths wrinkles, protects from harsh weather conditions, has anti inflammatory, soothing and calming properties. Soothing after exposure to the sun. Chamomile is one of the few essential oils that is considered safe for children. C/O Chamomile roman hydrosol Chamaemelum anthemis nobile Soothing and calming, skin tonic, moisturizer, revitalizes and softens, smooths wrinkles, protects from harsh weather conditions. C/O Cocoa butter Theobrama cacao Obtained from the cocoa seed. Rich in nutrients and is an excellent emollient. Long lasting protection, occlusive properties, high in vitamin E, softens, lubricates, especially great for dry skin. Has a delicious rich cocoa aroma. C/O Coconut oil Cocos nucifera Excellent emollient, moisturising, softening, protective, semi-solid oil, with cooling properties. Known to be high in antioxidants and have antiomicrobial properties. Raw, Extra Virgin Coconut Oil is the healthiest oil for cooking at high temperatures. See my blog post on the Health Benefits of Coconut Oil Our Coconut oil is raw, extra virgin, cold pressed and from one of the outer Fijian Islands. C/O Oz Comfrey root extract Symphytum officinale Soothes the irritation of dry skin, is emollient, astringent and relieves itching caused by dry skin. C/O Oz Cucumber extract Cucumis sativus Moisture binding and regulator, tightening, soothes the irritation of dry skin, astringent, relieves itching due to dry skin, refreshing, softening. Protects from the drying effects of the sun. Emulsifying wax (Olive derived wax) Cetearyl Olivate/Sorbitan Olivate This is a completely natural stabilising and emulsifying wax produced from a combination of pure, unrefined olive oil and an ingredient that contains RSPO and Certified Sustainable Palm Oil (We have a signed declaration from our supplier). It is a NON ETHOXYLATED and PEG free emulsifier. This ingredient binds water and oil molecules together, thickens, has moisturizing properties and helps reduce the Trans Epidermal Water Loss (TEWL) which is moisture loss from the skin. This emulsifying wax is approved by ACO for use in Certified Organic Formulations. C/O Frankincense essential oil Boswellia neglecta Purifies and cleanses the skin, relaxes and helps to repair skin, helps prevent the signs of aging and deminishes the appearance of fine lines/wrinkles, is healing, antiseptic and astringent. C/O Geranium essential oil Pelagonium graveolens Cleans and purifies the skin. Stimulates the skin, removes the top layer of dead skin and revitalizes dull complextions giving a radiant glow. Forms and promotes elasticity, soothes and tones the skin. Has antiseptic properties and is centering and promotes tranquility. C/O Glycerine Glycerin VEGETABLE DERIVED, PALM FREE, NON GMO. Glycerine is the most widely used humectant for natural and organic cosmetics. Our glycerine is Certified Organic, plant-derived (some are petroleum derived) and offers water binding and moisture retaining properties the balance the skin’s NMF (natural moisturising factor). This aids in keeping the skin healthy and assists in maintaining the structure of the epidermis (outer layer of skin). C/O Goji Berry extract Lycium barbarum This is a powerful antioxidant. High in minerals, vitamin B and vitamin E. Goji berry soothes skin and helps prevent signs of age lines. C/O Grapefruit pink essential oil Citrus paradisi Grapefruit is an astringent with uplifting effects on the mood. C/O Oz Honey As this Australian product is organically certified and sustainably produced there is no harm to the bees that produce the honey. Here at blossom we only use 2 animal by products: honey and beeswax. Both are from Certified Organic farms, are sustainably farmed with no harm to the bees. This is just as important to us as it is to you. Honey is known for its healing, antibacterial, moisturising, humectant and skin repairing properties and of course for it’s delicious sweet taste. C/O Jasmine hydrosol Jasminum grandiflorum Refreshes and moistens skin dried by the elements. Diminishes the appearance of wrinkles, soothes itchiness and irritation of dry skin, brightens the complexion. It is a fabulous feminine aroma which is also uplifting to the mood and stimulating. C/O Jojoba virgin oil Simmondsia chinensis This is actually a wax not an oil and it is very stable. Jojoba has emollient, and moisturizing properties and is also high in vitamins. It is very similar to the sebum (natural oil) that the skin naturally produces, so it absorbs quickly. Provides skin protection, keeping it supple and helps to restore the skins regular pH level. Excellent for soothing inflamed skin. C/O Lavender essential oil Lavandula angustifolia Cleanses, purifies, protects dry skin from the elements, lubricates, softens, refreshes and revitalizes the skins appearance. Is known for it’s antimicrobial properties and is anti bacterial, anti fungal, anti viral, antiseptic, promotes healing and prevents scaring. Lavender stimulates cellular regeneration and is soothing, calming and balancing to the mood and is one of the few essential oils considered safe for inclusion in baby products. C/O Lavender hydrosol Lavandula angustifolia Rejuvenates the skin in dry atmospheres, refreshes, softens and revitalizes the skin. Has known anti microbial properties. C/O Lime essential oil Citrus aurantifolia Cleanses, purifies, refreshes, tones and revitalizes the skins appearance. Lime has a fresh citrus scent that is uplifting and invigorating. C/O Oz Macadamia virgin oil Macadamia integrifolia Emollient, moisturising, anti-ageing; similar to the oil naturally produced by our skin, absorbs well, soothes irritation of dry skin, provides lubrication. Leaves the skin velvety smooth. It is recognized for its soothing and healing properties which are beneficial on scar tissue and sunburn. Great on delicate skin areas. C/O Mandarin red essential oil Citrus reticulate Refreshes and firms and tightens the top layer of skin and smoothes. Is helpful in reducing scaring and diminishing stretch marks. It is uplifting and calming to the mood. Natural fragrance/Natural preservative INCI = Parfum (EU) or Fragrance (US). (Can be called either in Australia) This totally natural product is derived from Vanilla and Almond extracts so therefore imparts Vanilla and Almond aroma to the product. It is NON GMO and has broad spectrum activity against Bacteria Gram-positive, Bacteria Gram-negative, molds and yeasts while being totally natural and non toxic/non sensitizing.This product is approved by ACO for use in Certified Organic Formulations. Natural Vitamin E d-alpha tocopheryl acetate NON GMO, VEGETABLE ORIGIN, PALM FREE. This is the natural Alpha form of vitamin E as opposed to the synthetic form. It has a high potency of 1100 IU. It is more bio-active than synthetic vitamin E, 1mg is equivalent in activity to approx. 1.36mg of dl-alpha tocopheryl (synthetic vitamin E). This vitamin E cools and soothes the irritation of dry skin, helps prevent and slow signs of ageing and smoothe wrinkles. It also prevents oxidation of the oils and butters contained within your product. This product is approved by ACO for use in Certified Organic Formulations. C/O Neroli essential oil Citrus aurantium var. amara Revitalises the appearance of healthy skin, smoothes and promotes elasticity, can aid in the prevention of stretch marks, helps make the skin less sensitive and has soothing properties. It moisturizes and energises the skin to improve the complextion. Reduces the signs of aging. It also has soothing, balancing, calming and anti inflammatory properties. C/O Neroli hydrosol Citrus aurantium ssp amara Great on the skin as a toner/spritz as it revitalises the appearance of healthy skin, smoothes and promotes elasticity, helps make the skin less sensitive and has soothing properties. It moisturizes and energises the skin to improve the complextion. Reduces the signs of aging. C/O Oz Oats Avena sativa These are Australian grown Oats that impart water softening, soothing and calming properties. Fantastic for newborns and for easing eczema and other skin irritations. C/O Olive extra virgin oil Olea europaea Moisturising, softening, high in essential fatty acids, very nutritious, excellent penetration, soothes, reduces scars, moisturises top layer of skin. Gentle for babies. High in unsaponifiables so is very moisturizing in soaps. C/O Orange sweet essential oil Citrus sinensis Helps to prevent the signs of aging and soothes the irritation of dry skin. Invigorates and revitalizes the skin and helps calm the mind chatter. C/O Palmarosa essential oil Cymbopogin martini Has a sweet floral, slightly rose type scent. It moistuirise the skin, helps stimulate cell regeneration while having a calming, stress relieving but uplifting effect on the mood. C/O Oz Pomegranate extract Punica granatum Pomegranate is a potent anti-oxidant and free-radical scavenger that helps reduce the appearance of age lines and wrinkles. Skin looks younger and is protected from environmental stresses. Potassium sorbate Potassium sorbate A mild, yet effective, food grade preservative. Non-toxic, non-irritating, non-sensitising. It inhibits micro-organisms, molds and yeasts and is a natural alternative to parabens (toxic synthetic preservatives with links to cancer). It is the potassium salt of sorbic acid. This product is approved by ACO for use in Certified Organic Formulations. C/O Red rose petals Rosa centifolia Is known for its age minimising, line reducing properties, skin softening properties. Adds texture, colour and aroma to aromatherapy and cosmetic products. Colour varies from deep red to lighter pink, according to seasonal influences and availability. Has a sweet gentle aroma that offers a rich rose perfume. Natural, biodegradable product. C/O Rose hip oil Rosa eglanteria (Rosa rubiginosa) Moisturising, emollient, occlusive, anti-inflammatory, anti-ageing, high in omega-3 and omega-6 essential fatty acids (Linolenic and Linoleic acids). Rosa eglanteria is also rich in flavanoids, phenolics, essential fatty acids, vitamins A (as trans-retinoic acid/Provitamin A) B1, B2, K, PP, E and lycopene and betacarotene which are powerful antioxidants and help prevent signs of premature ageing due to sun exposure. Helps to increase the skins elasticity and has healing and regenerating properties. Is also reputed to minimize scarring, age spots and wrinkles. C/O Rose otto essential oil Rosa damascena Reduces the signs of aging, diminishes the appearance of wrinkles. Makes skin feel and look more youthful, feels smoother and moistened. Soothes skin dried by the climate. Great emollient properties, stimulating, softening and hydrating, protective, promotes luster and improves the skins appearance. It is also soothing and uplifting to the mood. C/O Rose otto hydrosol Rosa damascena miller This Rose Hydrosol is not a 'by product' of essential oil extraction but is in fact a purpose made product that retains the full therapeutic properties of the Rose. Great as a toner to retain moisture and revitalise the skin especially when travelling to cool and hydrate. Reduces the signs of aging, diminishes the appearance of wrinkles. Makes skin feel and look more youthful, feels smoother and moistened. Soothes skin dried by the climate. Great emollient properties, stimulating, softening and hydrating, protective, promotes luster and improves the skins appearance and has a fabulous feminine floral aroma. C/O Oz Safflower oil Carthamus tinctorius Moisturising, high in Oleic acid (Omega 6), contains proteins, vitamins and minerals. C/O Oz Sandalwood essential oil Santalum spicatum Cleanses, tonic, revitalizes the skins appearance, moisturizes and diminishes the appearance wrinkles. It nourishes and softens, soothes dry skin irritations and relieves itching and heals. It is relaxing, warming and promotes tranquilty. C/O Shea nut butter Butyrospermum parkii A soft ivory butter obtained from the Shea nut kernel. Offers exceptional moisturizing and protective qualities. The phenolic compounds provide anti aging properties and the phytosterol, triterpene and cinnamic acid offer natural sun protection. Rich in nutrients and vitamins. Offers long lasting protection from harsh weather conditions. Relieves chapped skin exposed to wind or cold. Soothes skin irritation and is a skin stimulant that revitalises the appearance of the skin. C/O Soya bean oil Glycine soja Moisturising and softening, particularly to the upper layers of skin, is high in protein, vitamin E and other minerals. 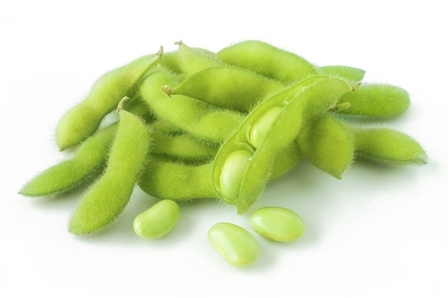 C/O Soya lecithin Lecithin, Soybean Extract Derived from Certified Organic soy beans (Non GMO). Lecithin is a natural emollient, a co-emulsifier, a spreading agent and a natural anti-oxidant so is also able to extend product shelf life by acting as a mild preservative. C/O Oz Sunflower oil Helianthus annuus Moisturising, emollient, high in essential fatty acids, high in vitamins A and E, is regenerating, and adds sheen. C/O Thyme CT linalool essential oil Thymus vulgaris Has antiviral, antiseptic and antibiotic properties. Vanilla and Almond Extracts Natural Fragrance/Natural Preservative This totally natural, proprietory blend imparts Vanilla and Almond aroma to the product. It is NON GMO and has broad spectrum activity against Bacteria Gram-positive, Bacteria Gram-negative, molds and yeasts while being totally natural and non toxic/non sensitizing. This product is approved by ACO for use in Certified Organic Formulations. C/O White tea extract Camellia sinensis White tea is a more powerful anti-oxidant than green tea. It is a great protective tonic for ageing skin. Diminishes the appearance of wrinkles or fine lines and protects from the drying effects of the sun. Xanthan gum Xanthan Gum / Corn starch gum. It has emulsifying, stabilising and gel-like thickening properties. It enhances viscosity, is of Cosmetic and Food grade and is CERTIFIED NON-GMO. This product is approved by ACO for use in Certified Organic Formulations. C/O Ylang Ylang essential oil Cananga adorata Moistens skin dried by the elements, cleanses, softens and nourishes, helps to revitalize the appearance of healthy skin. It's sweet exotic aroma has sedative, relaxing and calming effects on the mood. NO FORMALDEHYDE FORMERS (eg Quanternium 15), NO SYNTHETIC INGREDIENTS WHATSOEVER! Many of the above have been linked to skin irritations, sensitivities, eczema, allergies, weakened immune systems, hormone disruption, a reduction in the fertility of our children as adults, some are carcinogenic or are closely linked to cancer, others are endocrine disruptors and many contribute to bio-accumulation issues and that is just a few of the concerns.